A contemporary take on the minimal style. Lots of south facing glazing and textured oak cladding/white render make this house a feature of the Kingsdown Valley, Bath. Once the existing building was demolished, a two-storey steel frame was inserted to form the basis of the build. This was then wrapped up in solid masonry blockwork and externally insulated with 120mm EPS and rendered with a thin coat acrylic system. 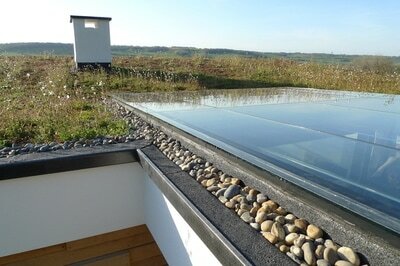 The Gull Wing roof is a warm-roof Bauder system with a Sedum cover. 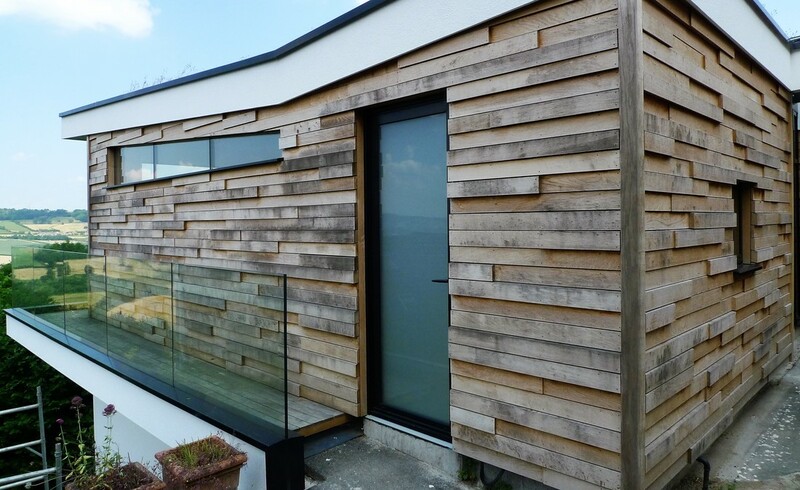 Oak cladding of differing thickness was used on some of the elevations to give a 'textured' finish and contrast to the white render. Minimal aluminium glazing system was used throughout. 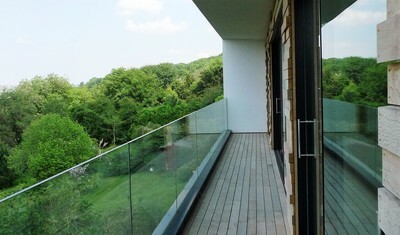 The external balconies are canterlevered off the steel frame (but thermally broken to minimise thermal bridging). 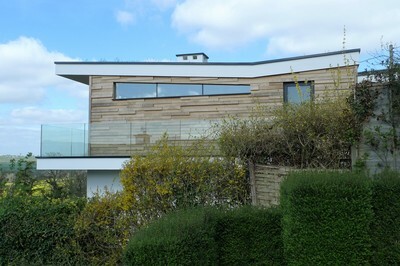 These are decked in oak, with a single-ply sub base for drainage and a rendered soffit below. 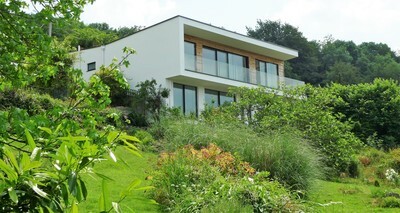 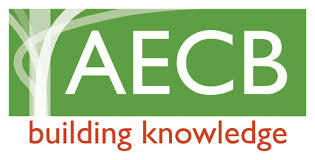 The house is fitted with a whole house MVHR system, with the heating coming from a Spartherm sealed woodstove.